While switching from Windows to Linux carries several considerations, it’s simple enough to ease the transition. But what’s the best version of Linux for Windows users? Robolinux is an operating system that targets Windows users who want to start learning and using Linux as painlessly as possible. In this article, we’ll cover what Robolinux is, how to install it, and more. Robolinux, a Debian-based operating system, places a heavy emphasis on Windows and Linux integration. This is nothing new: Wine can already help you run Windows programs on Linux, for example. Still, compatibility varies greatly. As such, running Windows in a virtual machine (VM) offers the best compatibility. Because the virtual machine method runs programs natively on Windows, there’s far greater compatibility. Within Stealth VM, the default virtual machine in Robolinux, there are options to install various versions of Windows. 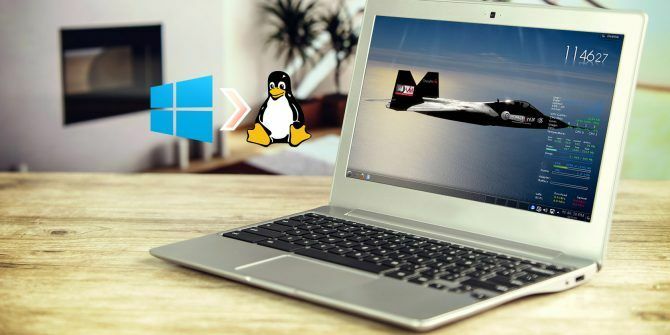 These one-click Windows installers make running Windows OSes and programs in Linux a breeze. Robolinux is simple to install on a hard drive, bootable media such as a live CD, or even a virtual machine. Head over to the Robolinux downloads page. Then, select your preferred version. You’ll find Robolinux Raptor 8.10 LTE iterations with different desktop environments including MATE, Cinnamon, XFCE, and LXDE. Robolinux 7 LTE features KDE, LXDE, XFCE, and GNOME desktop environments. With your ISO downloaded, you’ll need to mount it to bootable media such as a flash drive or hard drive. Alternatively, you may install the ISO in a virtual machine. Use a program such as Etcher to burn your image file. In your burning program, select the Robolinux ISO file. Then, pick your desired medium such as flash drive or DVD. Mount the image file. Once that’s complete, pop your live CD into your PC and power it on. Depending on your machine, you may need to change your BIOS boot order so that the live CD boots before the hard disk drive. When Robolinux loads, you’ll be ready to try it, or install on your HDD. Immediately, Robolinux provides a user-friendly environment which makes getting started with Linux simple. If you’ve used Debian or one of its derivatives including Ubuntu, you’ll notice a familiar layout. There’s a start menu, task bar, and a smattering of default apps. Bundled in the Robolinux default installation, you’ll find the Stealth VM virtual machine, and C Drive to VM program for simple migration of a Windows C Drive to a virtual machine. 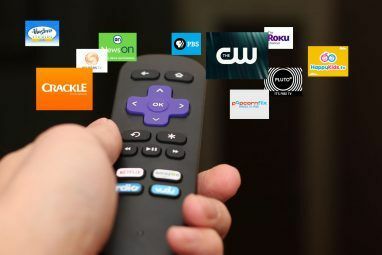 You’ll still need to install these programs by hand, but they’re loaded in just a few clicks. Plus, in the start menu under “Installers” you’ll find options to load programs such as BleachBit, Clam Antivirus, and Steam for Linux. I found Robolinux simple to use. It’s as intuitive as the likes of Ubuntu, Manjaro Linux Easy to Install, Simple to Use: But Should You Switch to Manjaro 17? Easy to Install, Simple to Use: But Should You Switch to Manjaro 17? Manjaro 17 is an excellent option switching from Windows or macOS to Linux and is surprisingly simple to install. Check out what's new in Manjaro Linux 17 and find out if you should switch. Read More , and ChaletOS ChaletOS 16 Review: The Best Operating System to Switch from Windows to Linux ChaletOS 16 Review: The Best Operating System to Switch from Windows to Linux Switching from Windows to Linux presents a challenge. Knowing certain tips and tricks aids the transition, as does choosing the right distro. The Windows-esque ChaletOS 16 could be the one you want. Read More . Like many distros that cater to both new Linux users and power users, Robolinux makes navigation as easy as using any desktop OS. A robust default apps list makes this a solid choice for any user. But this isn’t a locked-down operating system. Rather, Robolinux boasts immense customization options. For instance, you can change desktop environments and set various sound effects which trigger when performing tasks like opening folders. The main appeal of Robolinux is its overall, uncomplicated user experience. Additionally, included applications such as Stealth VM make installing Windows (or other operating systems) within Robolinux instinctive. While there’s nothing in Robolinux that can’t be installed in other Linux distros, the main draw is the comprehensive feature set. When initially booting into Robolinux, there’s even a virtual machine ready, waiting for a fresh copy of Windows. As noted above, some software such as C Drive to VM does not come pre-installed. Instead, you download it using the installers section of the start menu. Importantly, this Linux distro uses the hugely reliable Debian stable as its foundation. Configuring a Windows virtual machine in Robolinux is pretty simple. In the start menu, the favorites bar shows options for Windows XP, Windows 7, and Windows 10 VMs in 32-bit and 64-bit flavors. These are also found under the Stealth VM entry of the start menu. Click your desired virtual machine type, and you’re prompted to download Stealth VM. Download the tar.bz2. Don’t extract it. Instead, under the start menu select Robolinux Stealth VM installer. Picking this installs Stealth VM. You’ll then be able to load any virtual machine option from the list. This of course requires an officially licensed version of Windows. If you need a copy of Windows XP, you can download this for free and legally from Microsoft How to Legally Download Windows XP for Free, Straight From Microsoft How to Legally Download Windows XP for Free, Straight From Microsoft Learn how to download, install, and run Windows XP for free in a virtual machine so you can keep it on hand at all times. Read More . The process is pretty easy, and though Stealth VM needs a bit of set up after installing Robolinux, it’s actually quite smooth and far simpler than a command line installation. Which, of course, isn’t terribly difficult. But it’s refreshing to just push a few buttons and have a free, quality VM at your disposal. Yet, when installing Stealth VM, and when proceeding to the downloads page for Robolinux even, you’re prompted with a donation page. It’s optional, though a bit intrusive. A free Linux distro like this relies on support (monetary and otherwise) from its community of users, and that’s fine, but I’d rather a polite donation page that doesn’t pop up when attempting to install software or download an ISO. Alternatively, you can always install Wine How to Run Windows Apps & Games with Linux Wine How to Run Windows Apps & Games with Linux Wine Is there any way to get Windows software working on Linux? One answer is to use Wine, but while it can be very useful, it probably should only be your last resort. Here's why. Read More and a frontend such as PlayOnLinux PlayOnLinux Brings Windows Games & Programs To Linux PlayOnLinux Brings Windows Games & Programs To Linux Read More or Vineyard How to Use Vineyard to Run Windows Apps on Linux How to Use Vineyard to Run Windows Apps on Linux Vineyard makes it easy to install and run Windows apps on Linux with Wine. 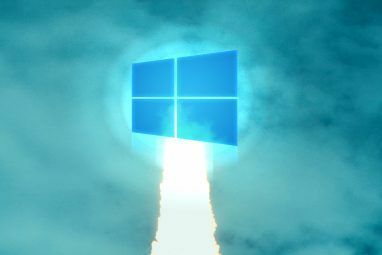 Find out how to use it and get your favorite Windows software running in minutes! Read More if you’d rather eschew the virtual machine route. Boasting stability, ease of use from installation to everyday use, and a bevy of bundled software options, Robolinux is a superb operating system. Notably, Robolinux places an emphasis on integrating Windows with Linux through its included virtual machine in Stealth VM. While much of what Robolinux promises is achievable using almost any Linux distro and a virtual machine, Robolinux features a VM in its default software. Thus, the process of installing a VM, migrating a C drive, and other tasks involved in migrating from Windows are streamlined. It’s not that Robolinux accomplishes what other Linux distros can’t—rather it simplifies the work of it. Although Robolinux opts for Debian stable over bleeding edge, this fosters a more reliable system environment. For more Linux distros, check out our exploration of the best Linux operating systems for every kind of user The Newest Linux Operating Systems for Every Niche The Newest Linux Operating Systems for Every Niche Linux operating systems are constantly updated, with some are more substantial than others. Not sure whether to upgrade? 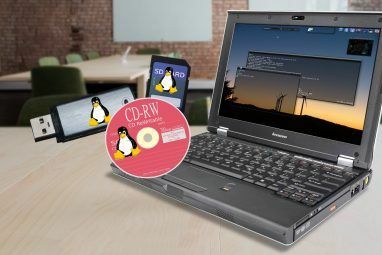 Check out these new Linux operating systems and to see if you should try them. Read More . Explore more about: Linux, Virtual Machine, Windows, Wine. I'm, a long time Mint user that switched to MX Linux about 7 months ago and I'm impressed; I've tried many and MX is by far the best for me, but I will give RoboLinux a look. Yes because the selling point for Windows is running it in a VM under Linux. Grab yourself Manjaro or even Ubuntu, next install Qemu/KVM + LibVirt and just follow the thousand plus guides out there on the subject. You should have a fully working gaming rig inside any distro of choice without the bloody mess called VM. There was no mention of Deepin 15.5. I have done a lot of distro-hopping in the last couple of years since making the switch to Linux. There are so many great distros and Deepin 15.5 is one of the best. If Microsoft & Apple merged I could well imagine Deepin 15.5 being the resulting OS. It is every bit as beautiful as Elementary and very easy to install and use. The developers have added a slew of new features and it has evolved into a pretty advanced system. If you have not checked it out lately it is well worth revisiting. Deepin 15.5 really has it all. Actually there are a lot of best OS's for those coming to Linux. Off hand I can think of Zorin, Mint, Elementary and Ubuntu Mate. The best one for you might be the one that you have a friend that is familiar with the OS and can help you if you need it. Probably beat the official forum. Sorry, but if you have to have a Windows-esque GUI, then use Zorin. You can use the looks changer to make it look like WIndows 7/10, MacOS, Gnome, Unity. Since it is Ubuntu based, it will work with the vast majority of things out there. NOTE: Your Email subscription widget does NOT seem to be working anywhere on this site, I just get a 404 page! Please subscribe me to email notifications! Thank you very much!! In the spirit of Ubuntu, not the OS but the Bantu principle, thank you for the option of Robolinux. Those previous comments are negative and are not in the spirit of open source. I'll give it a bash and see if i can help the cause of open source and Ubuntu principle. Regards from south Africa, the source of Ubuntu. They make impossible claims such as "Robolinux . . . makes Windows XP, 7 & 10 100% immune to viruses". It is impossible to make any operating system 100% immune to viruses, especially Windows. There are Linux Distros that go far beyond what Robolinux does and even they don't make such claims. Who is paying for the Windows licenses? It's not free to run Windows inside of a VM so who is paying for this feature? Robolinux also claims " Robolinux . . . focus on privacy was built with a flawless crash free balance of the best current but highly stable Debian and Ubuntu source code". This is absurd because "flawless" and "crash-free" are not possible in any kind of programming. There are many more reasons why this distro isn't the best option but that should suffice. The last thing I'll mention is, you claimed Robolinux is based on the "hugely reliable Debian stable" but it's not. It's based on Ubuntu which is technically based on Debian yes but your statement implies direct Debian derivative, it isn't one. And then there's the graphic design. That website, and that video. Wow. It's like they went back to 1992 and asked a prepubescent teenager for the "raddest" branding they could have, complete with 3D logos and JET FIGHTERS! It looks like it's made ironically, but my spidey senses tell me it's not. What Is Mono and How Does It Help Windows Switchers New to Linux?